In honor of our clients and co-agents, EMLA has donated to First Book and Book Aid International. Thank you all for being a part of our lives. Happy holidays and happy new year! See you in 2010! Just in time for book-lovers everywhere hit the airways for holiday travel, today's People magazine gives Liz Garton Scanlon's All the World a very nice mention, calling it "mesmerizing in its simplicity." Just look at this gorgeous cover! Heather Tomlinson's Toads and Diamonds will debut in April 2010 (Holt), and the writing is as luscious as the cover—I kid you not when I say that reading it took my breath away. I did not want to leave that world after turning the final page. I'm running a little late on pointing this out, but Betsy Bird gave a nice glimpse of it recently on Fuse #8—scroll down to the fifth book cover for a nice paragraph. Today's email brought this yummy jacket quote from Barry Lyga, for Conrad Wesselhoeft's debut YA novel Adios Nirvana (Houghton Mifflin Harcourt): "If you threw Chris Crutcher, a beat poet, and a jazz musician in a blender, you might get something like Adios, Nirvana. With lyrical, hypnotic prose, Wesselhoeft's narrative deftly avoids the cliches of the coming-of-age genre. A superb, enduring debut. I wish I'd written this book." Wow, wow, wow! No cover to show you for this one yet—the book isn't not due on the shelves until fall 2010, so it's a bit early. More to come! It's up! Alarmingly Bright Futures, indeed! Good News Keeps Rolling for Day-Glo and All the World! It seems hardly a day goes by without good news for Chris Barton, author of The Day-Glo Brothers (Charlesbridge), and Liz Garton Scanlon, author of All the World (Beach Lane Books/S&S). In fact, just yesterday I was teasing Liz's editor, Allyn Johnston, that I wish she'd stop being such a black cloud in my email inbox! The latest news is that both books top the list of best children's books of 2009 at The Washington Post, and we're eagerly looking forward to getting out our scissors this weekend, to clip the New York Times review of The Day-Glo Brothers and the People magazine review of All the World. 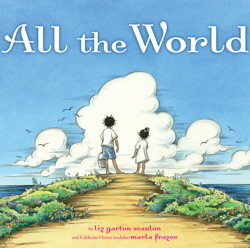 All the World also made the L.A. Times's picks of the best children's books of the year ("My pick as best picture book of the year, All the World, could easily replace the traditional holiday greeting card as a perfect expression of peace and goodwill"), the Horn Book Fanfare list, and industry "big mouth" Richie Partington's year-end roundup. I'm afraid things aren't about to slow down for Chris, either; his Shark Vs. Train releases in April (Little, Brown), and big doin's will begin shortly after the first of the year. (If only I could talk about them now!) Get a sneak peek at the book on illustrator Tom Lichtenheld's site. Cate Tiernan's Sweep series is going to Scandinavia! Publisher Stabenfeldt has picked up the first three books of the series for publication in Finland, Norway, and Sweden starting in August/September 2010. Allison Heiny of Rights People did the deal on behalf of Alloy, which packaged the books in the U.S. for Penguin Puffin. Nathaniel Fludd Goes to China! We are very pleased to announce that Pan-Asia has licensed complex Chinese rights to The Flight of the Phoenix, the first book in R. L. LaFevers's Nathaniel Fludd: Beastologist series, for release in spring 2010. Christina Biamonte at Houghton Mifflin Harcourt did the deal. This is the agency's introduction to China! Olugbemisola Rhuday-Perkovich's Eighth-Grade Superzero, which pubs with Arthur A. Levine Books/Scholastic next month, just received its first starred review. 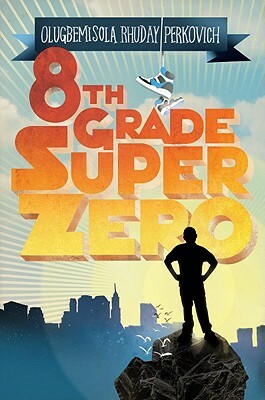 Publishers Weekly calls it "a masterful debut," and goes on to say that it is "filled with characters who are delightfully flawed and, more importantly, striving to overcome those flaws...Rhuday-Perkovich doesn’t take shortcuts, forcing Reggie to deal with a world in which he doesn’t always get the answers or successes he wants, and the book shines as a result." Congratulations, Gbemi! A starred review for a debut novel is wonderful indeed. The Fourth Annual GangofErin Retreat is all set for Chicago in 2010, April 29 through May 1, just after the International Reading Association Convention. Previous retreats were held in Santa Fe, NM; North Andover, MA; and Portland, OR. Clients, contact Erin or Joan for details! All the World Is Day-Glowing! EMLA clients Liz Garton Scanlon and Chris Barton have had quite the season—their recent picture books All the World (illustrated by Marla Frazee, published by Beach Lane/S&S) and The Day-Glo Brothers (illustrated by debut illustrator Tony Persiani, published by Charlesbridge), respectively, are getting tons of buzz! All the World, which follows a circle of family and friends through the course of a day from morning till night, affirming the importance of all things great and small in our world, has been named a Best Book of 2009 by Kirkus Reviews, Publishers Weekly, The New York Times Book Review, Horn Book Magazine, the New York Public Library, and Richie Partington's Richie's Picks. It has received four starred reviews. A New York Times review called it "the kind of book that will be pulled off the shelf at bedtime over and over again," and School Library Journal called it, simply, "Perfection." The Day-Glo Brothers, the colorful (!) 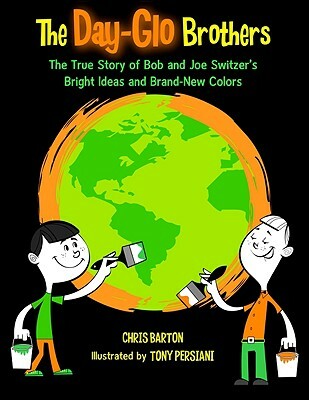 story of the brothers who invented Day-Glo, caused Boing Boing to exclaim, "The world needs more history books like this!" It received starred reviews from Kirkus Reviews, Publishers Weekly, and School Library Journal, and was named to Best of 2009 lists by the New York Public Library, SLJ, PW and Kirkus. It will be reviewed in the New York Times on Dec. 20. We are thrilled to be working with Liz and Chris on upcoming releases! In addition to two more picture books Liz had under contract with Beach Lane when signing with EMLA, she has signed up Noodle and Lou, to be illustrated by Mr. Putter and Tabby's Arthur Howard, about a worm and a bird who have an unlikely and unconditional friendship, to be published by Beach Lane; and Think Big, a lyrical celebration of imagination and creativity in many child-friendly forms, to be published by Bloomsbury USA. Chris's upcoming releases include the outrageous Shark Vs. Train, illustrated by Tom Lichtenheld and published by Little, Brown in April 2010, which Betsy Bird called "a book everyone will be longing to see"; a YA nonfiction collection of profiles called Just Who Do You Think You Are about real-life imposters, to be published by Dial in spring 2011; and The Amazing Age of John Roy Lynch, a picture book biography of a man who in ten years went from teenaged field slave to Reconstruction-era Congressman, recently signed by Eerdmans Children's. 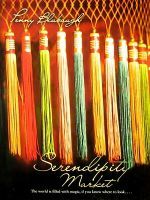 Kirkus Reviews has included Serendipity Market (HarperTeen) on its Best Young Adult Books of 2009 list, saying, "With prose as magical as the events it describes, Penny Blubaugh’s debut novel is a feast for the senses, brimming with richly textured scenery, beguiling characters and heartwarming sentiment." The novel, which marks Penny's publishing debut, is a collection of retold fairy tales with unique modern twists, each one told as part of a festival assembled to bring magic back into the world. Penny's next book will be Blood and Flowers, coming from HarperTeen in the spring of 2011.